A recent campaign aims to bring attention to the nationwide shortage of agricultural educators. This shortage includes the state of Kansas, home to 176 agricultural education programs. Shannon Washburn, agricultural education professor explains schools that previously did not have programs have added them, increasing the demand for teachers. Hannah came from Illinois to tour the K-State agricultural education program. Kansas State University is one of two universities in Kansas to offer an agricultural education major, the other being Fort Hays State University. Washburn says on average, about 15 agricultural education students graduate from K-State each year. National and university-wide initiatives have started to raise awareness of agricultural education and give support to teachers. One of these national campaigns is Teach Ag, launched by the National Association of Agricultural Educators (NAAE) in 2009. “Kansas is one of 10 pilot states to get some logistical support from the national Teach Ag campaign, as well as financial support and new strategies to incorporate,” Washburn says. The department is planning a tour of agricultural education programs in the state. High school students will visit the programs, alongside K-State faculty. The tour aims to introduce high school students to the diverse teaching opportunities across Kansas. 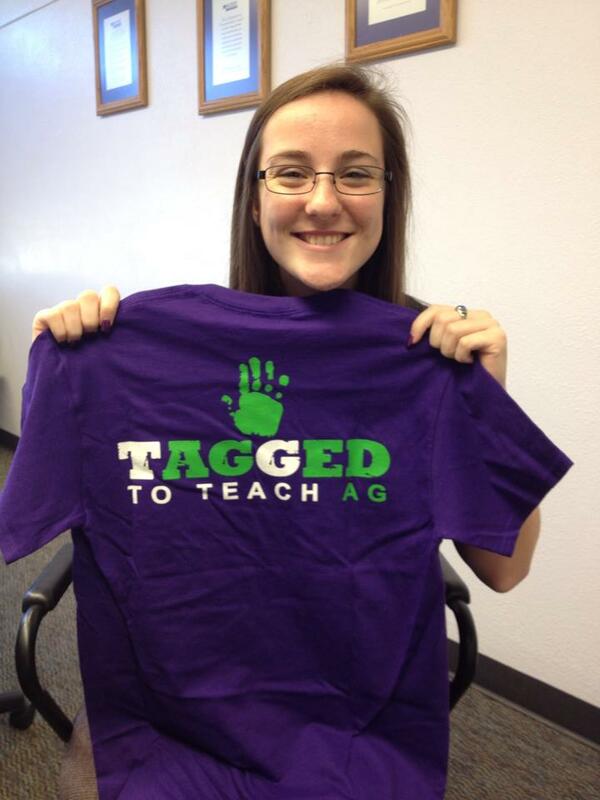 Tagged to Teach Ag, part of the Teach Ag campaign, is a year-long program that allows high school agriculture teachers to nominate those students who they feel would make good teachers. K-State instructor Brandie Disberger helps coordinate the effort. To help increase awareness, K-State students spoke with FFA members at the National FFA Convention. This communication helps to find and make connections with students interested in becoming teachers. Promoting the profession is no easy task, but it is certainly worthwhile.